The summer drought is over and it’s time for football to reign once more. Fans of the National Premier Leagues 2 NSW Men’s competition have had Sunday the 4th of March marked down in their calendars the moment Football NSW released the fixture list in January. It marks the beginning of a new season; one free from the Marconi Stallions monopoly that dominated 2017. It marks the debut of Rydalmere Lions, a club who continue their meteoric rise through the ranks of the NPL NSW Men’s divisions. It marks the return of old friends in Parramatta FC, after a three-year stint in the top-tier of football in NSW. But ultimately it marks the day all 14 teams start equal, ready to fight their way to Championship and Premiership glory. Let’s take a look at how your club is shaping up ahead of another spectacular season in the NPL 2 Men’s competition. Spartans Technical Director Raul Blanco did his best King Leonidas impression last season as he managed to defy the odds in keeping his inexperienced Spartan squad safe from relegation. Thankfully for Blanco, this pre-season has been much more stable than the last, where a mass exodus saw every single player from the first grade squad depart. But if last year was about re-building, what are the club’s aims for 2018? Just take one look at their transfer business and you’ll find the answer. The Spartans have sharpened their spears and are primed for a full-scale assault on the top 6. Canterbury Bankstown FC captured the hearts of all football fans last season during their dazzling FFA Cup run. But while they were dreaming of nutmegging Matt Simon and sending Graham Arnold home with his bushy tail between his legs, the Bankstown boys only picked up one point from their final four league games to crash out of the finals’ race. Perry Moustakas explains that his squad have learnt big lessons from last season’s failure. But the club haven’t just added depth. They’ve added quality with the likes of free-kick gun Huss Jasli, silky skills of Aaron D’Mello and the Andricopoulos brothers Costa and Nikita all ready to pull their weight for the club. “Competition for a starting place is higher than ever. With the additions of Huss Jasli, Costa and Nikita Andricopoulos, Evan Patramanis, Richie Darko, Dylan Deep-Jones and Aaron D’Mello, we have a squad capable of anything”. After the last season’s late collapse, Moustakas is reluctant to make grand predictions for how his team will fare this year. Paul Okon get down here. The Central Coast Mariners have forged a reputation for producing some of Australia’s most talented footballers. Mat Ryan, Mile Jedinak, Mustafa Amini, Trent Sainsbury and Alex Wilkinson are all products of the famed academy. And according to Wayne O’Sullivan, technical director of the Mariners’ academy, the current crop of players in the Central Coast Mariners NPL 2 side are capable of going on to play at the highest level. “The potential here is immense. These players have the opportunity to test themselves mentally and physically in the NPL competition and use it as a stepping stone to an even greater platform”. Similar to Western Sydney Wanderers, the Mariners squad is made up of young players brimming with talent and potential. What these players lack in age and physicality they make up for in exuberance and talent. But don’t let the Mariners’ youth fool you. Their 4th placed finish last season proved to football fans throughout the PS4 NPL 2 competition that these young men aren’t just stars for the future but are shining brightly now. Can the Mariners build on their performance last year and be a genuine threat in the 2018 finals’ series? That’s the message from coach David Perkovic to his Spirit F.C team whose 9th placed finish last season fell significantly short of the standards expected at what will be a new look Christie Park with its artificial surface. “We aim to improve every week on the training field and in games, and at a minimum, to improve on last season’s performance”. And with a transfer list as long as a Sheikh-funded Guardiola spending spree, how can the GHFA Spirit FC side not improve? Bright Appiah, Samuel De Oliver, Toni Romic, Mason Ireland, Emilio Manos, Kevin Lopes, Lewis Beumie – all players with experience at the top level of football in NSW have joined Perkovic’s side. The squad has also been bolstered by the additions of Ahmed Sweedan, Deklan Gilmartin, and Mackenzie Syron – making competition for places tougher than ever before. Cruelly, two of Spirit FC’s most promising additions, Adam Larsson and Hamish Galbraith, have sustained season-ending injuries, robbing Perkovic and the league of two of the most exciting footballers. But where there is disappointment there is opportunity and Perkovic is certainly hoping players like Jayden Young, Andre Carla and Louis Bozanic – who, according to the Spirit faithful, has a stellar reputation for his ability to “never dog the boys” both on and off the field – step up. They say the first year is all about survival. Hills United’s return to the NPL 2 stage was trickier than trying to negotiate a spicy vindaloo from a dodgy street vendor. There were times when they looked to be smooth sailing, only for a sharp, stinging reality to bring them back down to earth. The club made some tough decisions in the off-season in an attempt to avoid the turbulence that plagued their 2017 season. Luke McGuire takes the reigns as first team coach, and he has wasted no time promoting some of the club’s talented juniors. “We have a brilliant group of local youth players who we have promoted from our U20s side. These lads have shown tremendous talent and loyalty to the Hills United badge”. McGuire is hoping the mix of youth and experience – retained in their core group of senior players from last season – sprinkled in with the additions of Caelan langan and Divan Laubscher can prove to be a winning combination for the club. A long pre-season has readied the players for the gruelling demands of a lengthy NPL 2 campaign and the Brumbies will be hoping to get early points on the board to avoid being drawn into an unwanted relegation scrap. It’s been a painful decline for the Macarthur boys. Having last made the finals in 2014, the Rams have steadily fallen down the league table for the past three seasons. Their plight only placated by the demise of Bankstown City last year. Alarmingly, there is little to suggest this fall is about to stop. With the financial strength bolstering the squads of their competition rivals, Macarthur have it all to do if they want to play finals’ football this year, and indeed, if they want to stay in the division. Few can question the dedication of those involved in the Macarthur set up, but the NPL 2 NSW Men’s competition has a history of showing no mercy. The club that has stolen all the headlines in the off-season with their signing of Scottish UEFA Coach Kevin Harper. The former Leicester City and Stoke City player has arrived on Australian shores to take control of the coaching and technical direction of the Mounties Wanderers. Talk about a signal of intent. But unwilling to stop there, the club has made some significant signings including the return of Matthew West from APIA, Wade Oostendorp from Sutherland Sharks, Dion Shaw from Bankstown City Lions, Stjepan Paric from Sydney United 58 and Andre Schroeder from Spirit FC. Coach Kevin Harper and the club’s directors are united in their purpose for the club – “to play in the highest division possible”. With the additions made to the squad in the off-season, it’s easy to see that the Mounties mean business in 2018. That’s the consolation Mt Druitt Town Rangers could take out of their humbling defeat at the hands of Marconi in the 2017 NPL 2 NSW Men’s Grand Final. Marconi were on a different planet last year. Meanwhile, back on earth, Mt Druitt were proving to everyone in the NPL 2 competition that their combination of dogged determination and audacious skill was a winning one. Believing that this combination is indeed the one to unlock the NPL 2 key, Mt Druitt have not made wholesale changes to their squad for 2018. The most notable signing has been Mani Gonzalez – a former Sydney FC and Western Sydney Wanderers youth player. Mani joins a squad that has retained the bulk of its core from last season; Mathew Clowes, Alex Vlismas, Daniel Rezo, Trent Sierra, Carlos Saliadaare and Brian Griffin have all re-signed for 2018. Can the Town Rangers go one better in 2018? The North Shore Mariner’s revival in 2017 was almost as dramatic as Steven Bradbury’s recovery in the 2002 Winter Olympics. Rooted to the bottom of the table in 2016, the North Shore Mariners defied all odds and expectations to finish 5th last season, making the finals. Critics are hesitant to predict how the North Shore boys will fare this season, considering their remarkably defiant performances of 2017. Coach Joe Haywood sees no option but to keep improving. “We’ve added some fantastic players in Lee Jones, Charlie Baker, Claudio Rosano, Rainer Smahel and Daniel Saric. These boys have experience at the highest level and will help us improve again this season”. Inspirational captain Rick Woodward has re-signed for his 8th season with the club and Haywood is hoping the ex-Morecambe player can lead his team deep into the finals’ series in 2018. The Northern Tigers have developed a reputation in recent years for being able to match any side on their day. Their early pre-season form has reflected as much; with Jason Eagar’s side earning some impressive results, including a draw with top tier NPL NSW Men’s powerhouse, Blacktown City. It’s performances like this that has Eagar and his team brimming with belief. But if the Tigers want to challenge for a finals’ place and Championship glory, they need to add consistency into their ingredients list. Blessed with a youth development system that has seen players fed into A-League clubs in recent years, the Tigers are again calling on their talented juniors from the U18 and U20 squads to press for a spot in the First Grade team. It’s a First Grade squad that has retained the vast bulk of their team from last year; with captain Michael Rolston and long term players like Jamie Craig, Max Glanville, Luke Dawson, Liam McConaghy and Joel Harwick all committing to the club for 2018. With this mixture of familiar faces and fresh additions, Jason Eagar and Tigers fans are hoping their team roars to success in 2018. Like an episode of “I’m a celebrity, get me out of here!” Parramatta FC are glad 2017 is over. A dismal year, in which the club won one game from twenty-two, ended in the famous eagles being relegated from the NPL 1 competition. Even more worrying for Leo Carle’s side is the historical inability of sides relegated from NPL 1 to bounce straight back. St George, Blacktown Spartans and Marconi all failed to return immediately to the top flight of Men’s football in NSW. “Our objective is to consolidate our position in the NPL 2 division for 2018 as well as continue to make positive strides to achieve our major goal – achieve promotion within 3-5 years”. Carle is hoping that star recruit midfielder Jason Triffiro can add quality and experience to his side who severely lacked leadership last season. “The club is very fortunate to attain the services of Jason Triffiro for the upcoming season, alongside other important signings such as Julian Aguirre, Charles Abouserhal, and Raimond Colletta”. “As a group we have a genuine belief that we can achieve positive results and end up in the top six by the end of the season – we have the talent to be playing finals’ football”. Once upon a time, there was a humble team who dreamed of making it big. Clad in red, with a roar that put little Rydalmere on the map. This was the beginning of the Rydalmere fairytale, that began in 2014 in the Men’s State League 2 competition. Fast forward four years and the Lions are in the NPL 2, after their most recent promotion battle against Fraser Park in the NPL 3 competition. Coach Tony Basha is extremely proud of his club’s ascendancy but is not predicting another promotion in 2018. “We don’t have the financials to compete with the top teams. We are just hoping to be competitive until we can build a stronger roster”. Leading the line again is cult-hero and former Socceroo star Ahmed Elrich and Basha is hoping Elrich can guide some of the younger players in the squad. And this path of youth is the one Basha wants Rydalmere to continue to venture down. And sparks are already flying before a ball has been kicked in the NPL 2 competition with Basha firing a jibe at the deep pockets of his competition rivals. We wish you well Basha, may the Rydalmere fairytale live on. St George were the nearly-men of 2017. Second in the league behind Marconi and almost made the Grand Final, suffering defeat to Mt Druitt in the semi-final. This year, the club will be looking to go one step further under coach Terry Palapanis. Everyone at this club wants to be successful and it seems they’ve learnt the lessons from last season and are moving forward with a positive vibe and ambition. The ‘lessons’ the club refers to are surely directed at the amount of goals the club conceded. St George conceded 50 goals, more than any other side in the top 6. These defensive frailties cost St George dearly in the finals, conceding four against Mt Druitt in the elimination semi. Early season trial form has been strong, with a draw against NPL NSW top tier side Bonnyrigg White Eagles and a comprehensive 3-0 victory over another NPL top tier team, Sydney FC. It’s results against NPL NSW Men’s sides like this that has many fans believing the 2018 NPL 2 NSW Men’s competition could belong to St George. The club will have a fair bit of talent to will them on their way with captain Tarik Ercan being one of them. No one can forget 2017 Silver Medal ‘Player of the Year’ and Spanish import Juan Carlos Romero who will once again lead the line for the Saints along with the AFRO skills of Bruno Pivato. 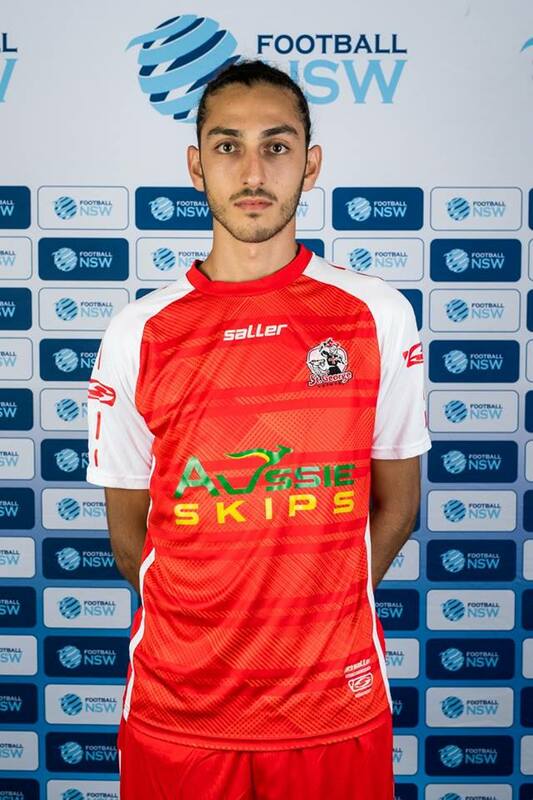 The likes of Hussein Akil, Jacob Bandur, keeper Anthony Costa, the Ilic brothers Stevan and David as well as former Hakoah Sydney City East striker Alec Lekoski will also look towards bolstering the Saints heavy line-up. Fresh off their FOXTEL Y-League Grand Final victory, the Western Sydney Wanderers Academy is ready to add a piece of silverware that has eluded them in recent seasons. Coach Arthur Diles will no doubt have his chargers ready to go once more as they have a crack at wanting to gain promotion in joining their rivals Sydney FC in the top tier of the NPL for 2019. Going close to NPL 2 glory in 2016, the Wanderers had a disappointing season last year, finishing 7th, just outside the finals’ spots. But with the maturation of players like Lachlan Scott and Abraham Majok, the red & black army have every reason to believe that the NPL 2 competition will be singing ‘Who Do We Sing For’ come Grand Final time in 2018. Along with Scott and Majok who have been named in the squad, another that will feature in Diles’ side will be Keanu Baccus. The young gun has been a regular feature in Josep Gombau’s senior squad, his experience will no doubt benefit the younger players around him. There will be alot of talent on display with the likes of Mohamed Al Taay, Thomas Aquilina, Kosta Grozos, Caio De Godoy, Jordan Hall, Tass Mourdoukoutas who has also featured in the senior squad as well as John Roberts to name a few – all of whom look set to light the league in more ways than one this year.